The results of the Teachers Licensure Exam (LET) held in March 2016 are released online. View the list of board passers and topnotchers here. 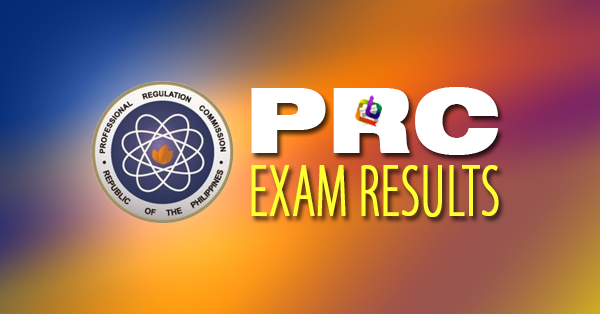 The Professional Regulation Commission (PRC) and the Board for Professional Teachers (BPT) announced Thursday that 12,128 elementary teachers out of 42,739 examinees (28.38%) and 18,810 secondary teachers out of 53,090 examinees (35.43%) successfully passed the Licensure Examination for Teachers (L.E.T.) given last March 20, 2016 in twenty testing centers all over the Philippines. It is further announced that of the 12,128 elementary teacher passers, 3,906 are first timers and 8,222 are repeaters. For the secondary teachers, 10,747 passers are first timers and 8,063 are repeaters. From May 30 - June 2, 2016 (Elementary) and June 3 - June 10, 2016 (Secondary), registration for the issuance of Professional Identification Card (ID) and Certificate of Registration will be done on-line. Click HERE and follow the instructions for initial registration. Those who will register are required to bring the following: 1) duly accomplished Oath Form or Panunumpa ng Propesyonal; 2) two pieces passport size pictures (colored with white background and complete nametag); 3) two sets of documentary stamps. Successful examinees should PERSONALLY register and sign in the Roster of Registered will be announced later, the PRC said.